This gorgeous Gaspe Oriental Satin Chemise will add a touch of luxury to your life with it’s soft satin feel and Asian inspired floral print. 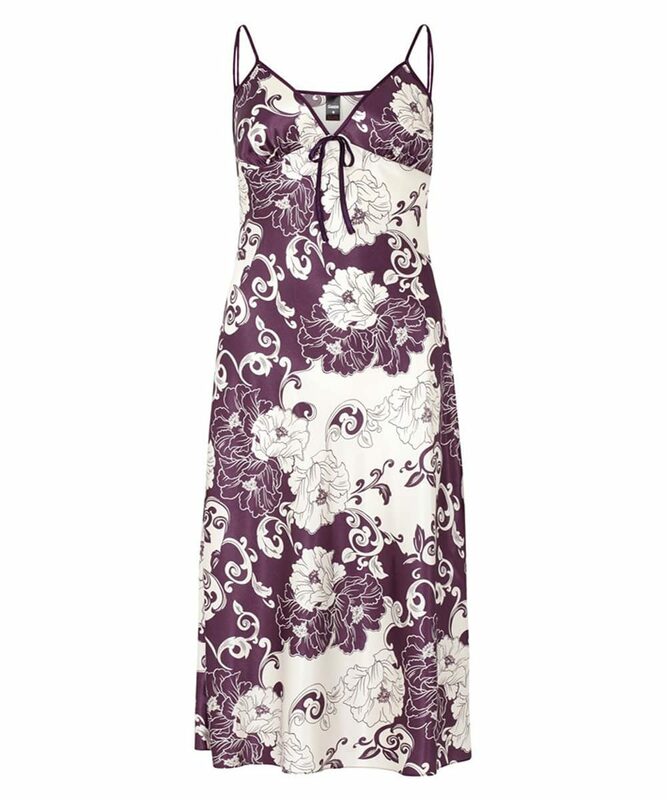 The Gaspe Long Satin Nightdress in Oriental print is seriously striking. Add a touch of luxury to your night times with this soft satin chemise. With a shaped bust and adjustable camisole straps for the best fit. While a long length gives it a classic look. The oriental print features swirls of peonies in a mixture of cream and aubergine colours.